You know it is going to be a good gig when the Mayor takes off his tie and jacket, throws away his speech and gets ready to sing. Len was responding to the wonderfully warm and festive reception from everyone gathered to celebrate Auckland becoming a Fair trade City. Michael Toliman, the coffee farmer from Papua New Guinea in New Zealand for fairtrade fortnight, greeted the Mayor’s announcement with a booming traditional chant. The Mayor loved the challenge of responding with a song. 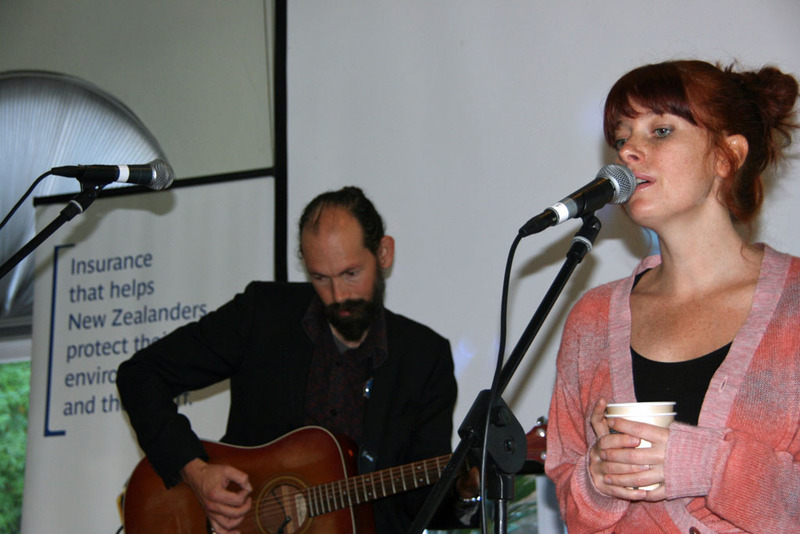 The room was full of the many people who have been worked tremendously hard to make Auckland Fair Trade. I acknowledge them all and especially those from the Make Auckland Fair Trade campaign team who were not able to be there for the announcement. In particular singer Kirsten Morrell who had flown out to the UK the night before. My introduction to the Make Auckland Fair trade Campaign was through meeting Kirsten when I was on the election trail with her mother, Tricia Reade who is now my City Vision colleague on the Waitemata Local Board. Kirsten has been a passionate supporter of Fair Trade for many years and when we met in 2010 had been actively collecting signatures for the Make Auckland Fair Trade petition. 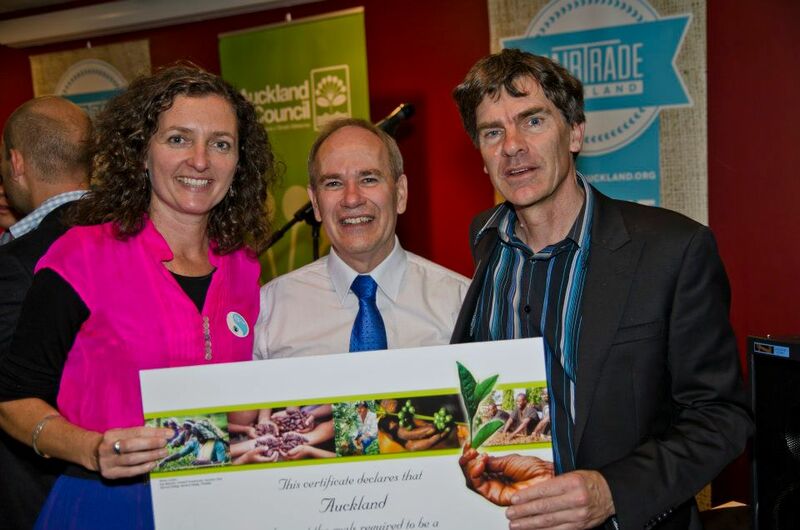 Kirsten’s persuasive arguments for Fair Trade were instrumental in the initiative becoming the policy of the Waitemata Local Board. With the support of my colleagues on the Board we were able to kick off the process through Council to meet one of the key requirements of being certified a Fair Trade City. It took exactly a year from our own resolution to be the first Fair Trade Local Board in May 2011 for the decision to go to through the Council’s Economic Forum, the Tenders and Procurement sub-committee and finally to the Regional and Operations Development Committee in March when the Mayor and Council voted unanimously in support. The smooth process through Council was made possible by the rock solid report prepared by Geoff Cooper and Barrett Owen. The report outlines all the reasons for Council to support Fair Trade . In 2007 the same initiative from Leila Boyle and Richard Northey on the Auckland City Council was defeated after a media beat up about the cost of toilet paper. Luckily there is far greater awareness about the benefits of Fair Trade now and the Council is in fact likey to save money from switching to Fairtrade tea and coffee. For me becoming Fairtrade is all part of a “brand Auckland” that I would like to be proud of it. If we are going to be the most liveable city in the world then we need to be innovative, creative and fair. We can use our extensive buying power to be conscious consumers making a direct impact in the developing world with every purchase. I also think Auckland as a Fair Trade City will be good for business and expanding our trading opportunities with the South Pacific. Posted in: Auckland Council, City Vision, Waitemata Local Board.